Welcome to the healthy corner. With mobiles and other bright screens filling our lives, our eyes need a lot more caring than we normally do. We can’t avoid Laptop & mobile fully but we can control by taking break in every half an hour while using screen & improve eyesight by eating healthy food. Proper care of eyes is utmost responsibility of everyone. Some of us know and agree the importance of eating fruits & veggies that can help our eyes. But very few actually take little extra efforts to make juices & follow proper intake of nutrients daily. So I decided to make fruits/veg juices that are especially good for eyes . 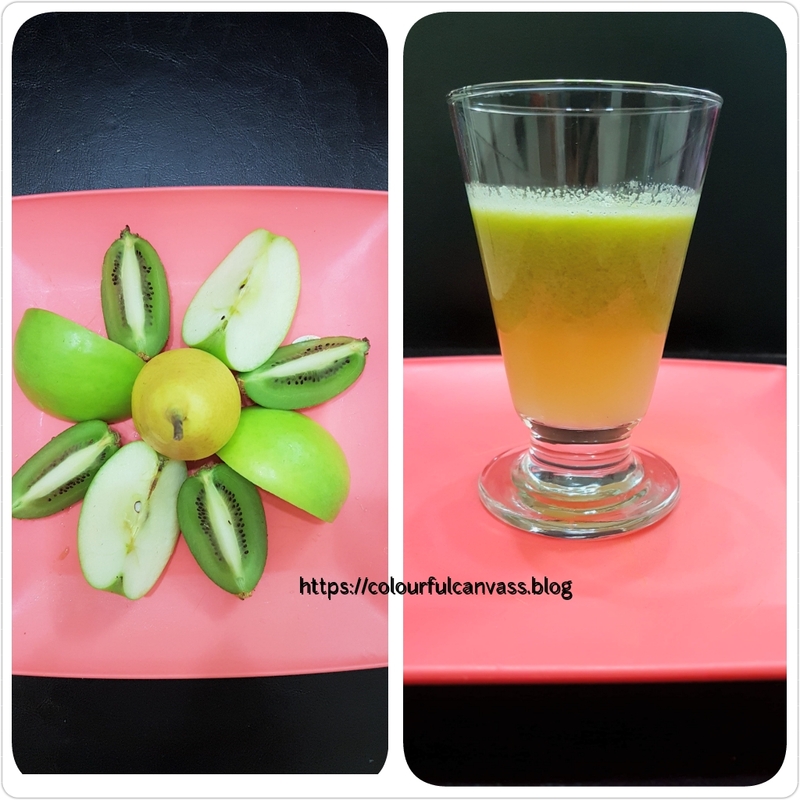 So last full week every morning I prepared 1 juice with different main ingredients so kids will have variety of taste & colors. I’m so surprised when twins had finished juices in one go & wanted more. There is sense of fulfillment when you see your kids enjoying healthy food. 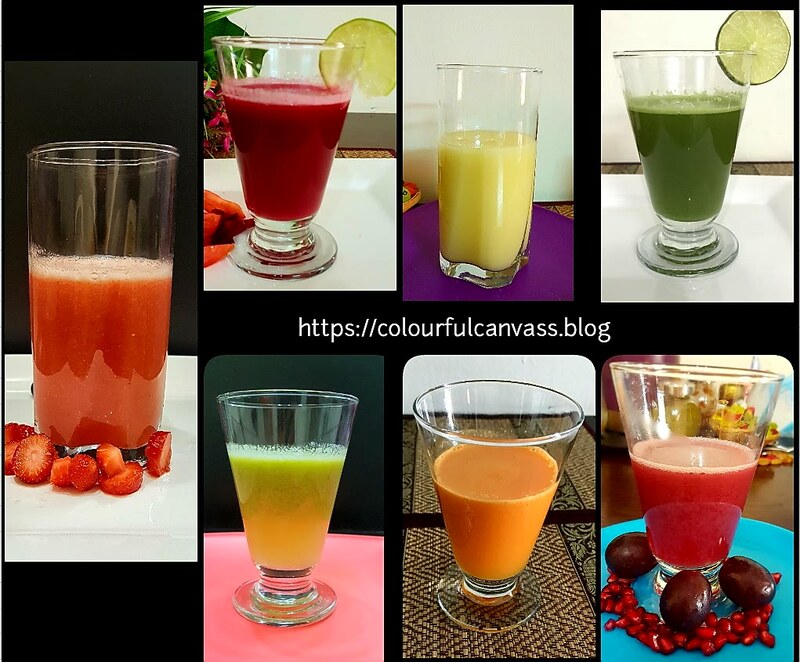 So starting 7 DAYS SERIES for healthy food starting with 7 different easy & highly nutritious juices for eyes. Tomato & Beetroot juice great way to start off your day. In blender/juicer add chopped tomatoes, beetroot, & ginger. Blend very well till fine puree . Sour taste of oranges & sweetness of carrot give delicious taste so no need to add sugar & salt . Slightly cooked & sweetened berries taste better than raw. So I cooked it in pressure cooker only for 1 whistle. You can use steamer also. Once cooked pieces can be easily removed with hand, no need to cut. Add water, sugar or honey mix & serve it. Except lemon juice blend all ingredients till fine puree. Here I made juice of strawberry only as kids liked to eat blueberry & blackberry directly. In juice add sugar or red apple as sweetener . Freeze remaining pulp you can use it in deserts & smoothie.This ice cube can be used even as face pack. 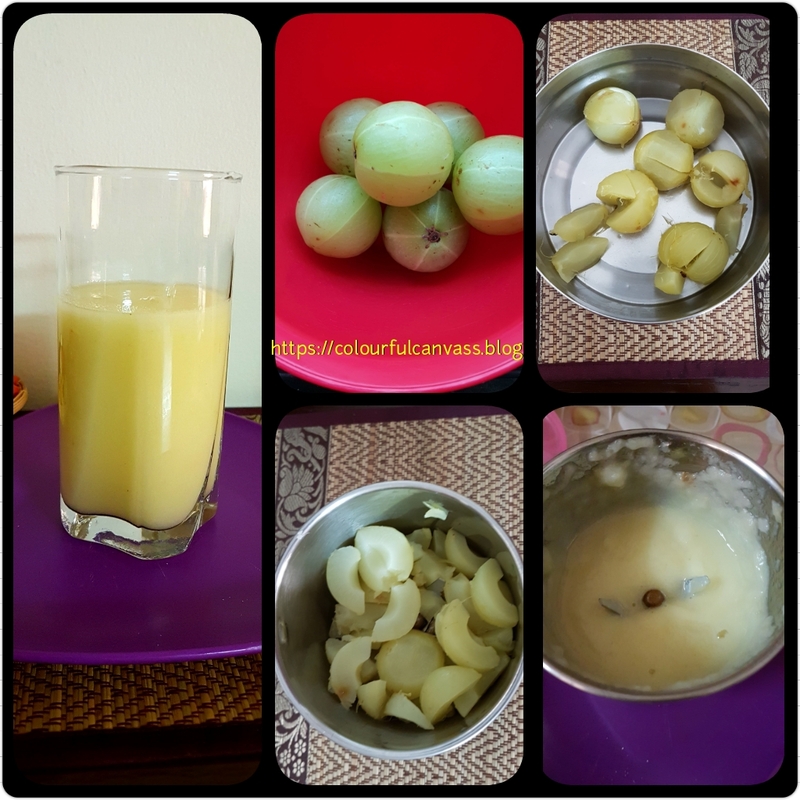 This juice has perfect sweet, sour & refreshing taste. Fruits & veggies are healthiest option but if you are allergic to any fruit/veg, diabetic or having any chronic disease, please consult Doctor before taking any of these juices. 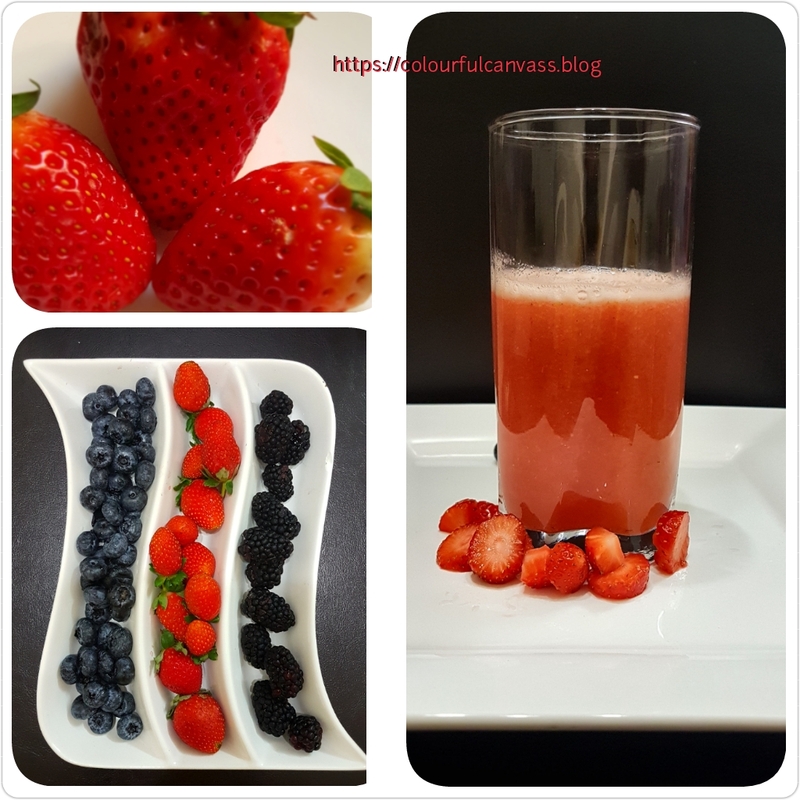 For juicing you don’t need high end Juicer, With normal blender/mixer you can make perfect juice only effort is straining juice & cutting fruits/veggies into small-medium size pieces. For Juicer fruits/veggies can be cut into big pieces but cleaning all parts of juicer is little tedious. Don’t worry about quantity 1/4th glass is also sufficient if you are taking juices regularly. Morning is best time for having juice & drink it immediately after juicing. Here I used less & easily available fruits/veggies, you can add ingredients of your choice. Wash fruits/veggies thoroughly before cutting. Thanks for visiting & I hope you enjoyed reading this post. 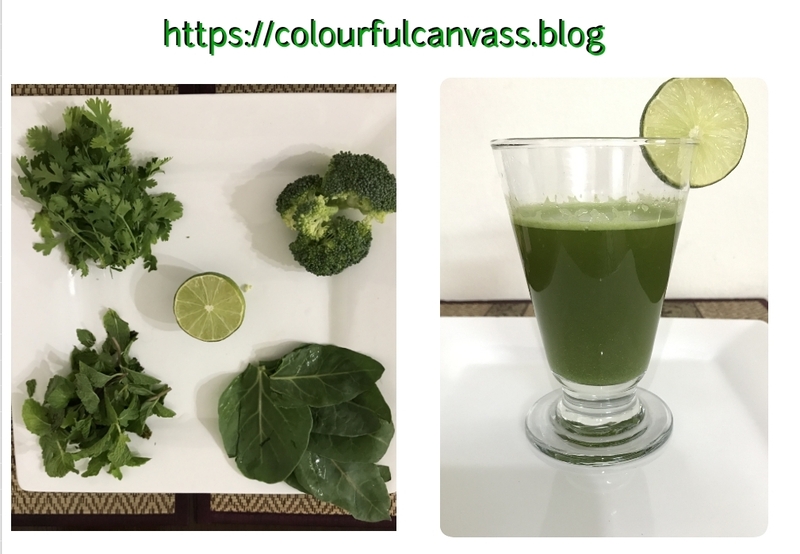 Follow this 7-Days series of healthy & easy juices only for eyes & let me know your feedback. Thanks Sudhir…Really fruits are wonders of nature so vibrant & tasty. You’re most welcome! Appreciation coming from you always means a lot to me. Its looking healthy as well as very colorful. These are such creative recipe! Need these because my eyesight is so bad lol. Thanks for sharing! Thanks Maria😚 I’m so glad you found it helpful. It’s my pleasure. Healthy, colourful & very easy too. It’s so colorful Bhavana and sounds so healthy. Will definitely try it out. Thanks for sharing. Needed these tips to improve eyesight, more than anything else. Thanks Smitha for appreciating. We always neglect the health of our eyes, so my little efforts to improve eyesight through this post. Glad you liked it. Its very useful Bhavana. I’m going to print it out. That’s very good idea. You might like to check it out rainbow, purple & green salad from salad section. You’re welcome Teju… I’m delighted that you liked it. Love them all! 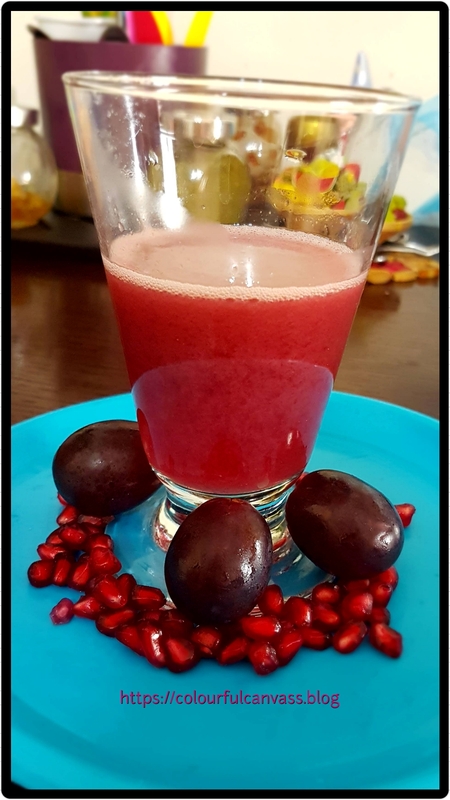 I noticed that you have used the veggies that have the same color as the fruits which compliments this juice very well in color as well as the taste, such an ingenious idea! Looks so delicious and refreshing! Thanks Latha 😍… your compliment made my day. Thanks Rekhaji, give it a try, very easy & nutritious juices 😋. Great post. For me its heavenly needed as I do have weak eye sight and to conquer this I have a tool of spectaculars, lol. Among all the juices Orange boost is my fav. Great post. So happy that you found this post helpful. Poor eyesight is common problem now a days. Even I wear specs all the time. So my little efforts to improve eyesight through this easily available ingredients. And I tried that orange boost today. Mom made it, it was so tasty and mom has become your ultimate fan at that very moment. She loved reading your blog. Thanks from her side too! Welcome Ruchi to my blog💐 & thanks for liking it. I guess this is your first visit . Thanks! Glad to meet you too. I’m big fan of your veg recipes. wow! so colourful my daughter too liked the orange boost. Yes Rajani, kids favourite is orange juice. But my kids surprised me when they liked all other juices too. How old is your daughter? Right Priya😊😊 How are you doing? Just saw your posts too.. its very tempting.. yummy… and nyc pictures too… keep it up!! Lovely presentation!! So many healthy ideas here! !